As you may have heard, our Connecticut neighbors at Yale University have a bit of a reputation for doing smart things. Take 2015, for example. That’s the year when Yale began an initiative to further “green” their campus by adding alternative fuel-powered vehicles to their fleet – including vehicles powered by propane autogas. Since the initiative began Yale’s fleet has saved an average of 50 gallons of fuel per vehicle per year – all while minimizing greenhouse gas emissions and reducing the need for maintenance. Of course Yale isn’t alone in their “discovery” of clean, green propane as a vehicle fuel: savvy fleet managers around the country have begun to reap the great benefits of autogas, and as a result the number of propane-powered vehicles in the U.S. has grown by more than 35 percent since 2012. More than 200,000 propane-powered vehicles are now on the road in the US, according to the Propane Education and Resource Council – a small but growing portion of the 25 million vehicles that run on propane worldwide. Interested in powering your fleet with propane? We can help. Hocon can convert your vehicles, set up a propane fueling station at your facility, or provide on-site fueling on a regular schedule via our delivery trucks. 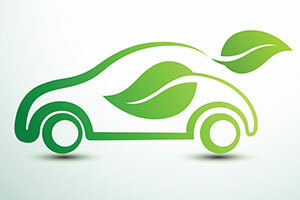 We can even help you qualify for alternative fuel incentives to help you save even more! Contact Hocon Gas today to learn more about the benefits of Propane Autogas – or the Propane Autogas services we offer to customers and around our service area.